Our River Holistic Hamper is all ready to go for our Raffle tomorrow. 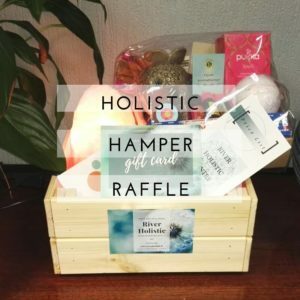 It includes a himalayan salt, a holistic massage voucher, a 4 week term for Alison’s yoga Nidra class, a beautiful hamper from ogam oils and a little sparkle of good luck from us. Tickets will be €5 on the day and all proceeds will be going to Laura Lynn. So if you needed a reason to come on down for our open day, this is it. Our Timetable for the Open Day is now up. 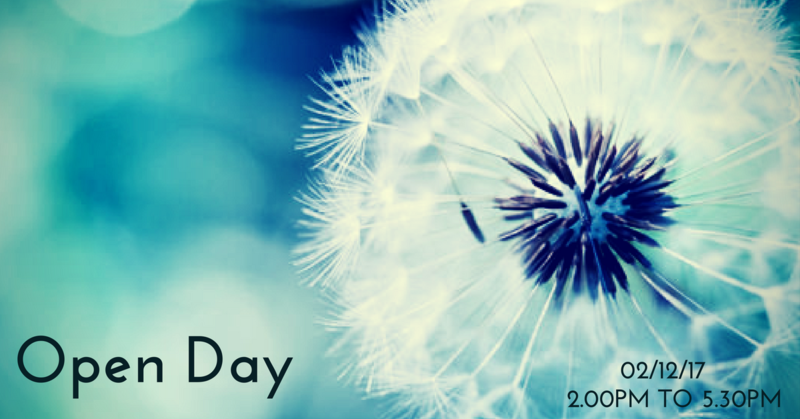 If you are hoping to come along on the day we have all of our therapists here to show you around and to have a chat to about all things Holistic. 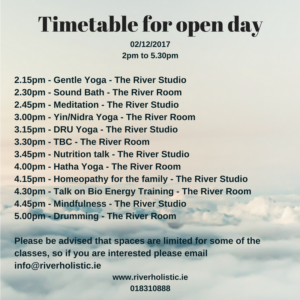 Please be advised that spaces are limited for some of the classes, so if you are interested please email info@riverholistic.ie to secure your space. We are really looking forward to seeing you on the 2nd of December from 2pm to 5.30pm. Remember we will be holding a raffle on the day with prizes including one of our Salt lamps, a beautiful Holistic Hamper from Ogam Oils, a voucher for a holistic massage to name but a few.